Jude Petru is our customer with the tastiest products! 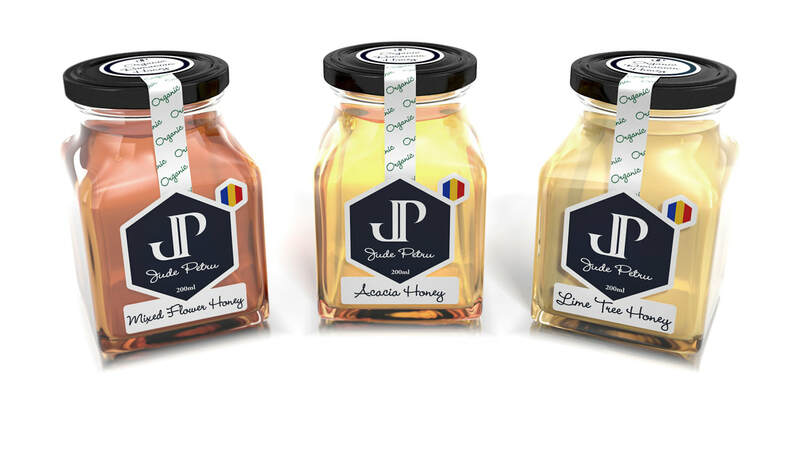 Their organic honey is farmed in Romania and is honestly some of the best honey we have ever tasted. Not only does it have an amazing smooth flavour, its also known for its health benefits. As a former cottage industry, the company wanted to branch out and make sales across Europe with two distribution centres - one in their home country and the second in the UK. The challenge was to create a logo, together with product packaging, to make it look as good as the product taste and quality. We created a brand that Jude Petru was very happy with and also provided 3D illustration to show off the product, which they used to market and sell prior to production.